Will Liv ever have a dull day? 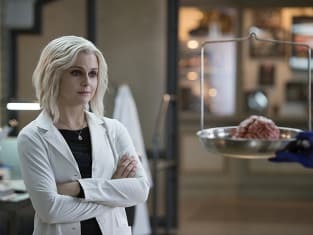 If iZombie Season 2 Episode 16 is to be believed then probably not. The best zombie on TV consumed the brain of a recently murdered stripper and it led to her getting a raft of extremely useful information. Major and Ravi helped Peyton move back in with Liv, but a surprising phone call could prove to be too much for her. Meanwhile, Ravi made a startling discovery that could put him out of good graces with Liv. Use the video above to watch iZombie online.